they are able to dissipate heat better than steel wheels. Aluminium wheels impose a lesser burden of weight on a vehicle which results in better fuel economy. Another good reason why car owners buy alloy wheels is that they significantly improve the performance and image of their vehicles. Even though diamond cut alloy wheels provide the finishing touch to any car and can turn the vehicle from an average-looking motor into a real head-turner, they bend easier than steels under road impacts. Also, they have a tendency to crack if bent too far. 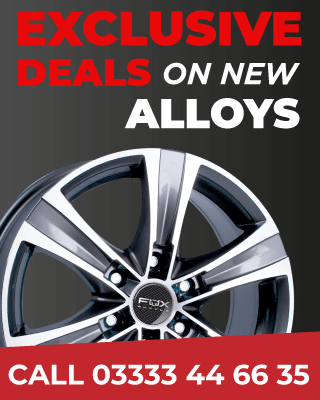 In the event you are searching for the best diamond cut alloy wheel refurbishment in Bolton, look no further. We are the leading provider of first-class alloy wheel repair services. Whether your car needs diamond cut refurbishment, cracked alloy repair or buckled alloy repair, we’ve got you covered. Just let us know what kind of wheel refurbishment your car needs, and we’ll do all the rest. When dealing with us, you can rest assured your vehicle will be provided with hi-end wheel repair services. 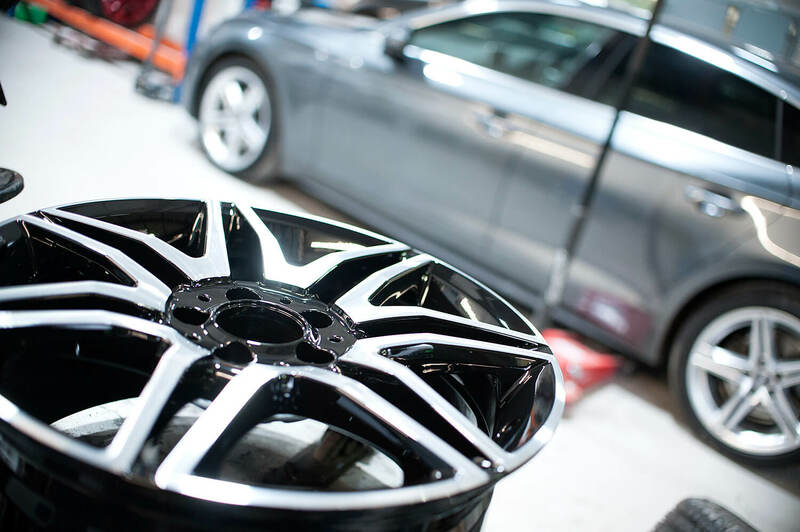 What makes us stand apart from other companies that provide wheel repair specialists is the fact that in our practice we utilise the latest technology to repair diamond cut alloy wheels. 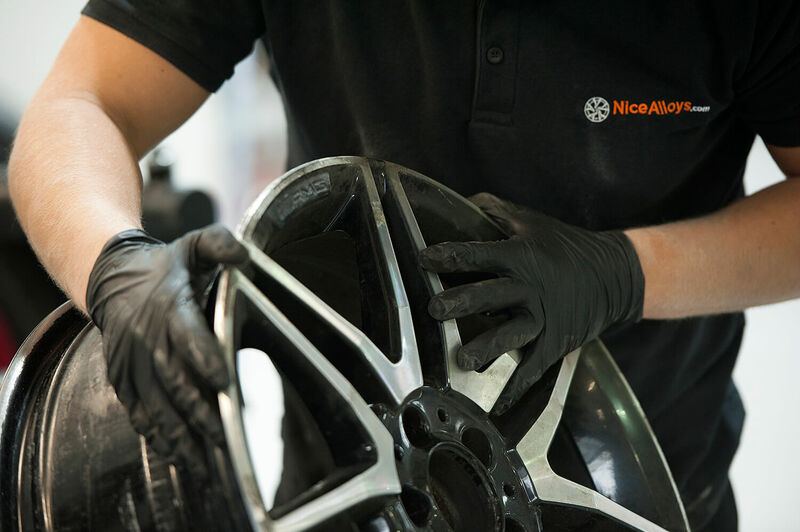 Another great advantage of choosing Manchester Alloy Wheel Repair is that wheel refurbishment services we provide can be performed in just one day, and the cost of diamond cut refurb is relatively low. As practice shows, most car owners can afford wheel refurbishment services we offer. 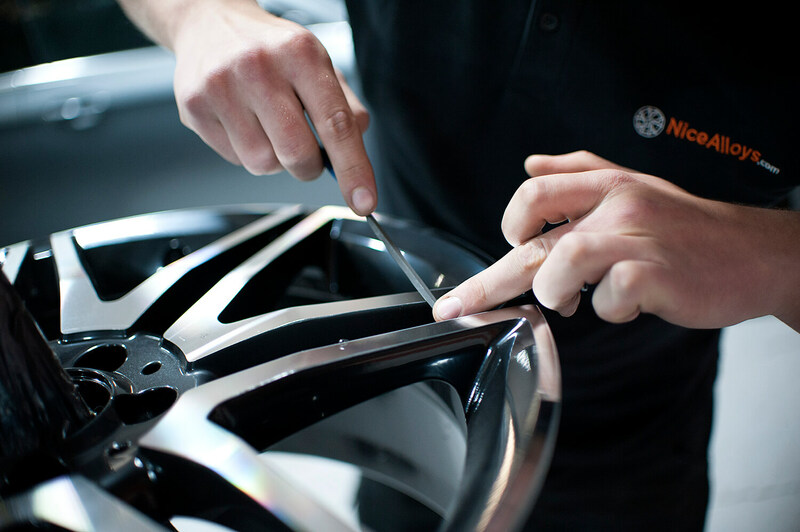 Our diamond cut alloy wheel repair specialists are fully trained experts. They have more than 15 years of experience in wheel repair. Also, it’s worth mentioning that we work with the most popular car manufacturers, including Porsche, Mercedes-Benz, Audi, BMW and many others. Firstly, we remove tires from rims. Secondly, we wash the wheels in a high-pressure wheel cleaner. This is made to remove tar and road dirt. After that, car wheels are stripped with chemicals to remove all the paint. Fine bead blasted to remove any corrosion and prep wheels for powder coat priming. The next step is all about baking the wheels in the oven at 210 degrees. Once the wheels are baked, a high build powder coat primer is applied. Then the wheel is diamond cut with a state-of-the-art CNC machine. Powder coat is lacquered and protected. At the final stage, the wheels are left to cool down before fitting and balancing the tires. As you can see, diamond cutting wheel refurbishment takes time and specific skills. 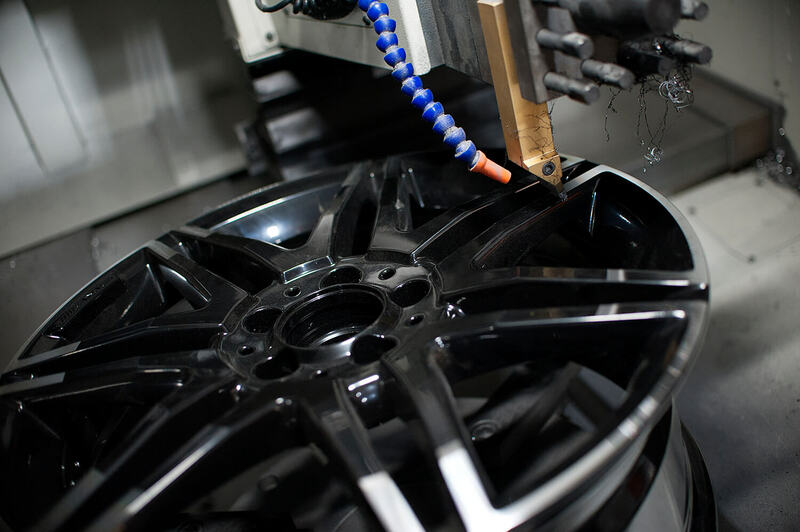 Fortunately, our diamond cut alloy wheel repair specialists are always here for you, ready to provide you with the exceptional wheel refurbishment services 24/7. Wheels are then washed in a high-pressure wheel cleaner to remove tar and road dirt. The wheels are stripped with chemicals to remove all the paint. Fine bead blasted to remove any corrosion and prep for powder coat priming. 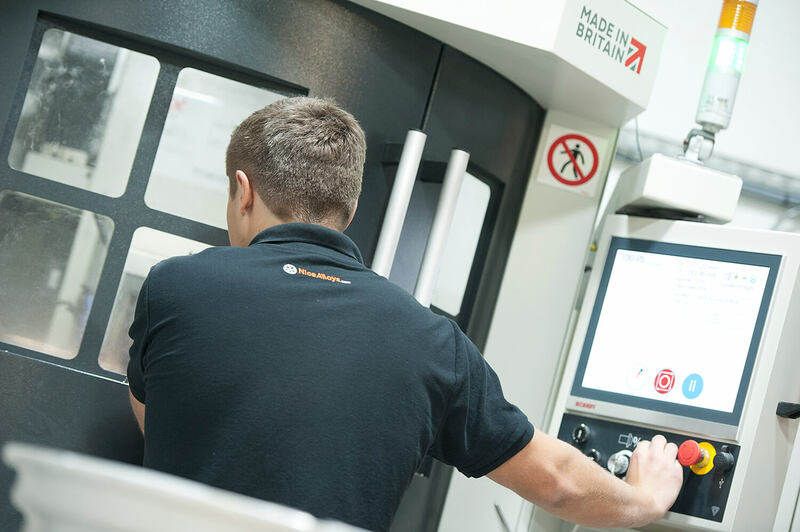 The wheel is then diamond cut, with a state of the art CNC machine.